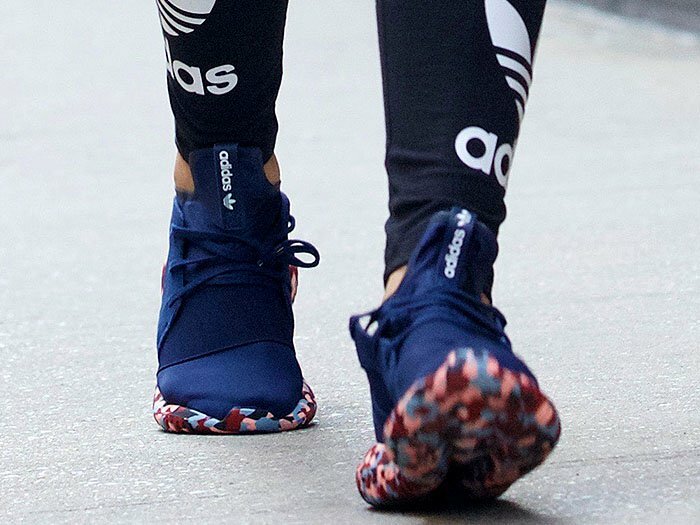 Rita Ora was seen stepping out in NYC today decked out in pieces from her newest collaboration collection with Adidas. The 25-year-old singer’s cropped sweatshirt featured the sportswear label’s signature three stripes and a blank paint-by-numbers print. 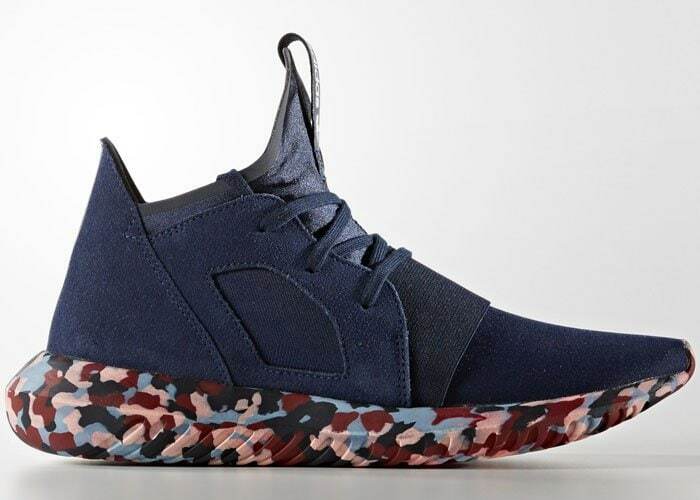 Her sneakers — the new “Tubular Defiant” style from Adidas — also had the same paint-by-numbers design on the soles but had the spaces colored in. The “Body on Me” songstress completed her sporty ensemble with plain black logo leggings, funky mirrored sunglasses, and a slightly wet ponytail. 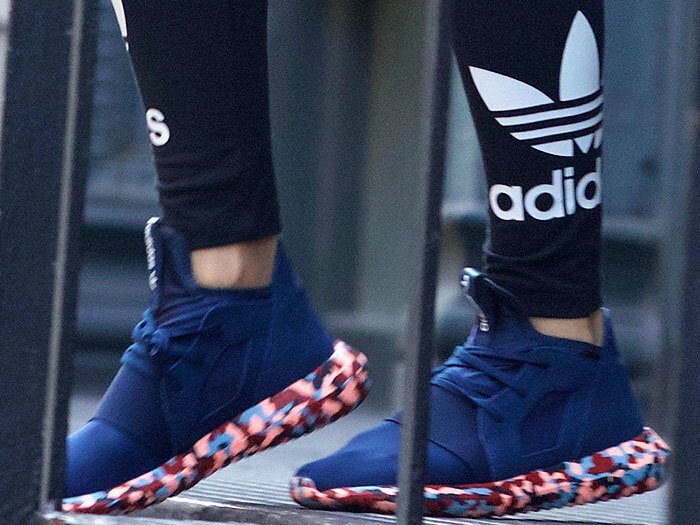 Could Rita have been inspired by the adult coloring book craze for her latest Adidas collection? 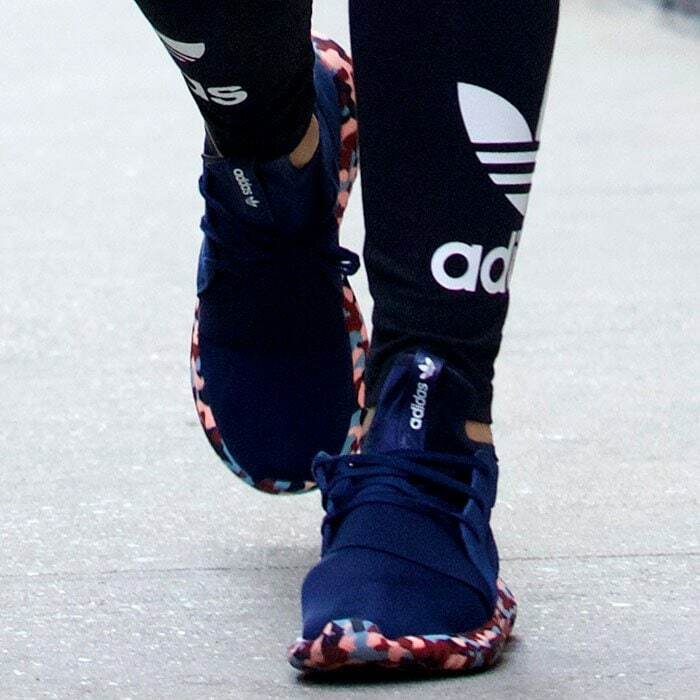 Check out her athleisure look. 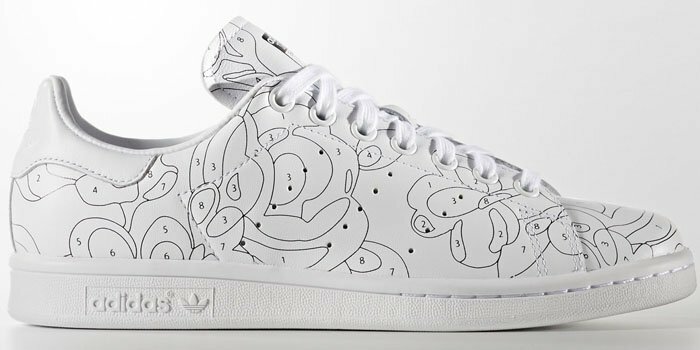 Rita’s latest collab with Adidas for fall 2016 is dubbed the “Color Paint Pack.” It includes three shoe styles including the retro “Superstar” sneakers, the classic “Stan Smith” sneakers and the “Tubular Defiant” sneakers as worn by Rita. The first two styles feature blank or partially filled numbered outlines that gives off a DIY style vibe. 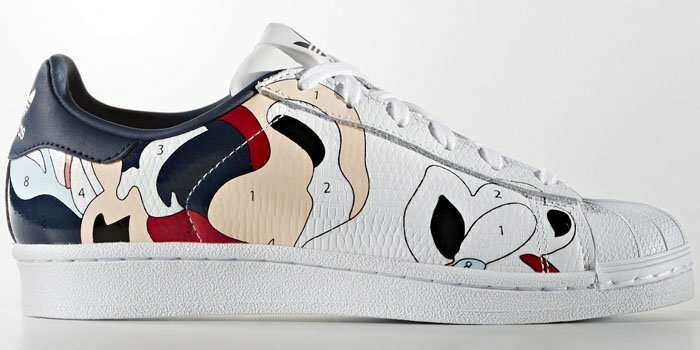 In fact, you can have the Stan Smiths customized with your own text or small design that will be printed on the heel collars.